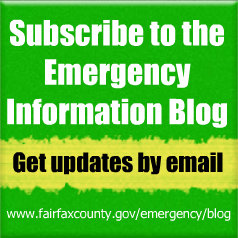 The Virginia Department of Transportation is asking drivers to prepare for a day-long storm tomorrow that could make driving hazardous in Fairfax County and Northern Virginia. You are encouraged to monitor weather forecasts and consider teleworking or delaying travel tomorrow. Also, plan for a longer than normal commute, with snow predicted in the morning and hazardous sleet and freezing rain beginning in the afternoon. By 4 a.m. Wednesday, VDOT reports that about 700 trucks will be staged throughout Fairfax, Loudoun, Prince William and Arlington counties to treat roads. Additional trucks may be added to handle sleet and snow during the afternoon commute. Today, crews are pre-treating major roads and trouble spots in Fairfax, Arlington, Loudoun and Prince William counties. On interstates 66, 95, 395, and 495 — including bridges and ramps prone to freezing such as the Springfield interchange, I-66 at Route 29 and the Capital Beltway interchange at Route 1 — crews use liquid magnesium chloride. 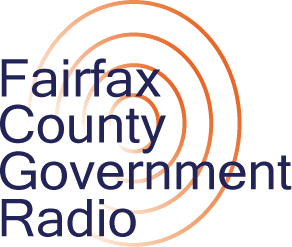 Problem spots on other major roads, such as the Fairfax County Parkway and routes 1, 7, 28, 29, 50 and 123, are pre-treated with salt brine. I have yet to see any roads pre treated this year in Bailey’s Crossroads…Annandale…Fairfax or Chantilly. This includes Columbia Pike…Gallows Road…495…66…rt. 28. FROM 4 AM TO NOON EST WEDNESDAY. TO LOW 30S LATER IN THE MORNING. * WINDS…NORTH AT 5 TO 10 MPH. * IMPACTS…SNOW WILL LIKELY DEVELOP EARLY IN THE MORNING COMMUTE. RESULT IN HAZARDOUS DRIVING CONDITIONS. School should be delayed or be closed due to the bad conditions. We need to think about how are the buses are even going to travel tomorrow. Slippery Roads, Side walks Icy and Travel delays expected Wednesday 1/14/15 morning. The FCPS needs declare 2 hour delay or close for the safety of children. This wintry mix weather is very dangerous for walkers and elementary kids. Middle /High School students are able to manage but elementary children are unable to cope up with this dreadful weather. Today, I saw many of our neighbor school kids shivering with cold at bus stop and have asked them to come and sit inside my car until the school bus arrived. The FCPS don’t even concern about the safety of our children, all they just keep on apologizing. Declare tonight school closing or delay, don’t keep on hanging on your decisions until morning and you better don’t upset parents. Latest from WTOP / ABC NEWS- Declare school closing, if you are really concern about our children. Anne Arundel, Charles, Prince George’s, St. Mary’s, southern Baltimore and Calvert counties in Maryland. Arlington, Manassas and Mannassas Park and Fairfax, Prince William, Fauquier, Spotsylvania, King George and Stafford counties in Virginia. stop giving business and personal information @ government website.